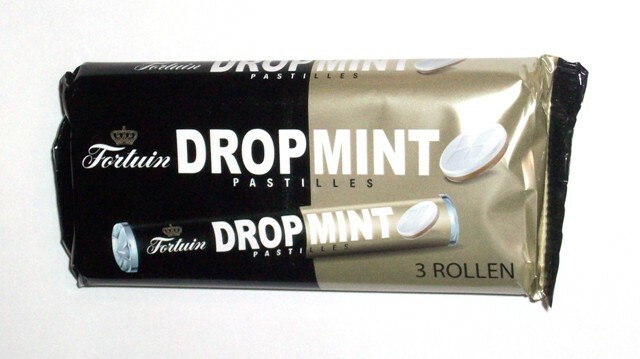 Drop Mint Rolls have lightly salty and strong Salmiak hard licorice on one side and mint on the other. They are delicious Dutch licorice pastilles, hard in texture. If you enjoy Zwart Witjes or Mint Nopjes you will also enjoy these. 3 rolls per package, and 144g per package.